For those who relish the sport of fishing, you will be glad to know that the Texas Parks and Wildlife offers a number of fishing licenses – both freshwater and saltwater – to interested applicants. Regardless of whether you are a resident of the state or simply visiting, there are many ways for you to apply. Continue reading to learn how you can start fishing in the state’s bodies of water. If you live in Texas and would like to get a fishing license with a freshwater endorsement, you can apply for a resident license to fish, as long as you submit the standard documentation and payment for proper licensing. In order to legally fish in the state, residents must show proof that they have called Texas home for a period of six months or more. Three proofs of residency must be submitted by way of a utility bill, a state homestead property tax statement, paycheck receipts, your TX drivers license, your voter registration card, your car registration, etc. If you do not meet the qualifications to get a resident fishing license, you will need to buy a non resident license to fish, instead. 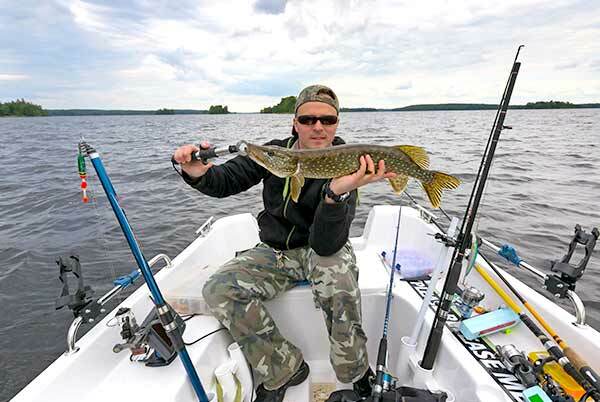 A nonresident fishing license can be obtained by presenting proof of photo ID, proof of your Social Security Number and payment for set fees. Licensed anglers are not required to renew a freshwater fishing license, per se. However, depending on the type of license you purchased, you will need to apply for a new one if you intend to continue fishing after its expiration date. Take note that lifetime licenses are considered valid for the fisherman’s lifetime; therefore, you will not need to re-submit any fishing application. In order to request a freshwater fishing license replacement, you will need to visit with any licensed agent in the state. There are currently an estimated 1,700 license agents in Texas to assist you. Part of the process to get a duplicate freshwater license to fish will require you to fill out an application and present proof of photo ID. Whether you are on active duty or a military veteran, the state of Texas offers a wide selection of fishing licenses and fishing combination packages for you. Some of these include the TX Resident Active Duty Military “Super Combo” Hunting and All-Water Fishing Package and the TX Resident Active Military All-Water Fishing Package. All of which are available to you free of charge, as long as you present proper military paperwork and proof of residency. Seniors who are 65 years of age or older may purchase one of three different licenses: a Resident Senior Freshwater Fishing License, a Resident Senior Saltwater Fishing License or a Resident Senior All-Water Fishing License. Combination packages are also offered for interested applicants. If you have your sights set on a lifetime fishing license, you can purchase one in person or by calling the Texas Parks and Wildlife toll-free number at 1-800-792-1112. You may also print the Application for Texas Resident Lifetime License online and take it with you to a TPWD law enforcement office in your area.